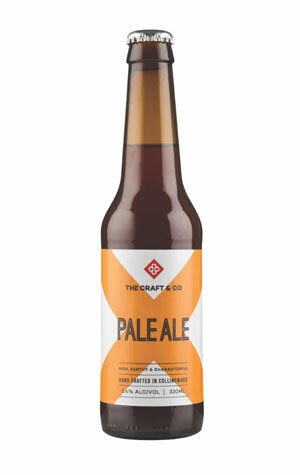 One of the first beers ever to hit taps bearing The Craft & Co name – before they'd even got the brewery up and running at the Smith Street venue – was its Pale Ale. Designed to take a little of the Old World and mix it with the New, it's built upon the sturdy malt base you might expect to find in an English pale ale with American hops laid upon them. Look out for piney, earthy hop aromas balanced by a rich, biscuity sweetness and a well judged bitterness.